By the time we arrived, the Director, Steven, had been informed about our visit and offered to show us around also. Thanks to all of the staff and volunteers there that made our visit so special. 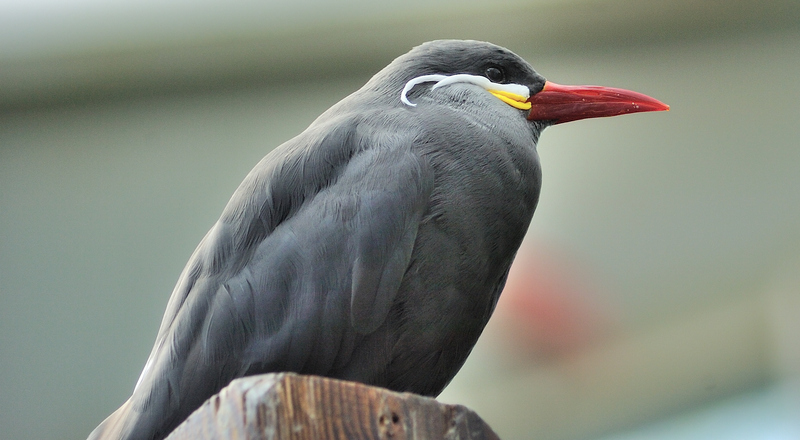 The National Aviary is definitely a “Must See” for birdwatchers. It is hard to know where to begin, so I’ve decided to break our visit up into the different areas and do a blog on each one. This blog is an introduction to the National Aviary itself. The history of the Aviary tells of its growth from a conservatory at an old Penitentiary site, with an Aviary added later. It was the first zoo to have free-flight rooms. In the 80’s they began focusing on “wildlife conservation through captive breeding of rare and endangered birds.” The 90’s saw the aviary closed, then re-open as a private nonprofit corporation. In 1992, “By declaration of the U.S. Congress, the Pittsburgh Aviary was designated honorary national status and renamed the National Aviary in Pittsburgh. Throughout the day they have various events going on, depending on the day of the week and weather or other conditions. We were able to take in the Wetlands Feeding and Rainstorm, Feed the Lories, FliteZone – Raptors and the Parrots (missed some of the birds due to an activity outside the aviary that was unsettling the birds), Tropical Forest Feeding, Meet a Patient, We missed some things, but got to see things others don’t get to see (more on that later). 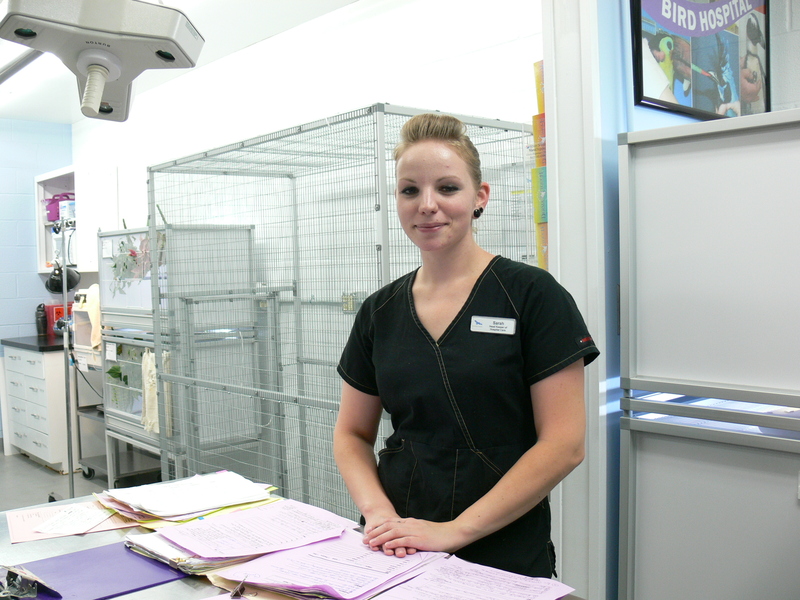 The Aviary has over 600 birds from different parts of the world. See: Our Birds. Since I have worked with the Birds of the World here on this site, it was great to be able to see many of the birds in person that were just names and photos. Many, close-up! 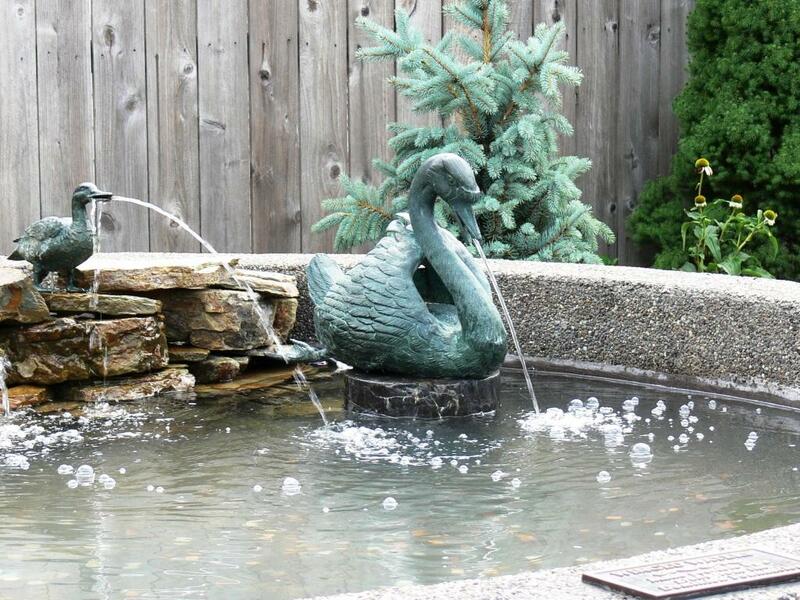 When you arrive at the Aviary, you are welcomed by some sculptures, a fountain, and a Rose Garden. There were also some local birds hanging around like sparrows and pigeons. I am sure at other times of the year there are other avian visitors. The Laughing Kookaburra was also outside to greet the visitors to the Aviary. One of the workers help me get a short clip of him laughing. What a joy we had visiting! It was much more than I thought it would be. These photos are of some of the shows and the outside area. This entry was posted in Birds and tagged Birds, Birdwatching, Birdwatching Trips, National Aviary, Pennsylvania, Pittsburgh. Bookmark the permalink. And I’ll bet all 600 birds found a way to ‘get along’! Sounds like a fun place to visit, Lee. I’m glad you and your hubby got to go and click away!